Last night we got home from a little ‘get-a-way’ we’d been planning. We drove out to the Davis Mountains in West Texas, which is about six hours from where we live. Here are some of our adventures. 1. On the way, we ate cold fried chicken I cooked the night before along with a batch of buttermilk biscuits. 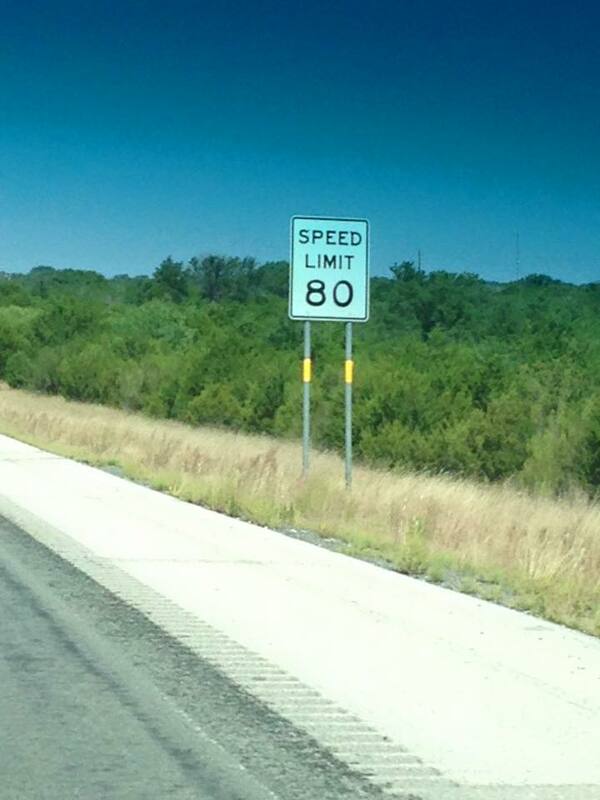 This is way better highway eating than you’ll get from a fast food place or a gas station! 2. 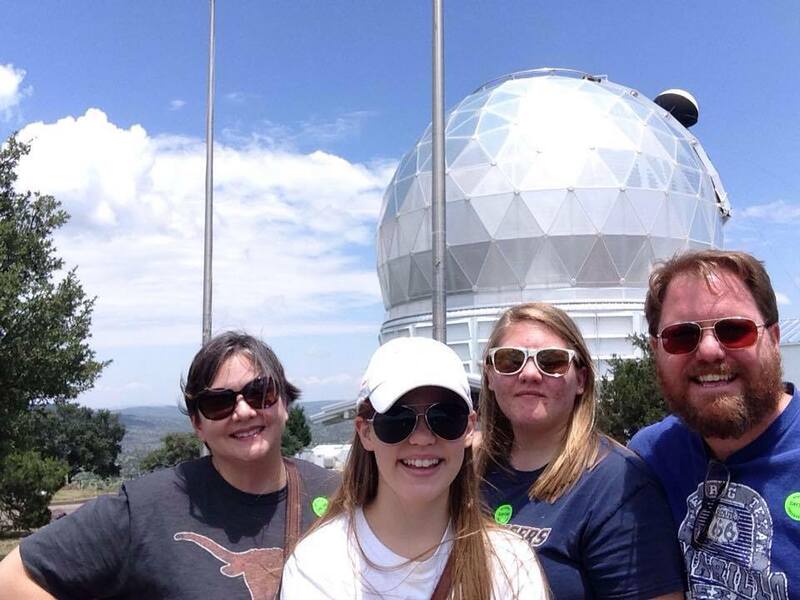 We visited the McDonald Observatory. Tuesday night we went to the star party and looked through telescopes at nebula, clusters, the moon, Saturn and other phenomena as well as saw a tour of the constellations. We came back the next day to look at the sun and learn about it, and then toured the gigantic telescopes under the domes. Nerdfest. 3. We stopped at Fort Jefferson Davis, which is one of the pioneer forts. It was established to protect the mail running from San Antonio to El Paso in the 1850s and was named for Jefferson Davis, who was then the Secretary of War. I had a long conversation with the National Park Services Ranger about why they never changed the name, especially right after the Civil War, because as most people know Jefferson Davis went on to serve as the President of the Confederate States of America. She told me they just didn’t care that much about it, because the fort was so far removed from civilization. 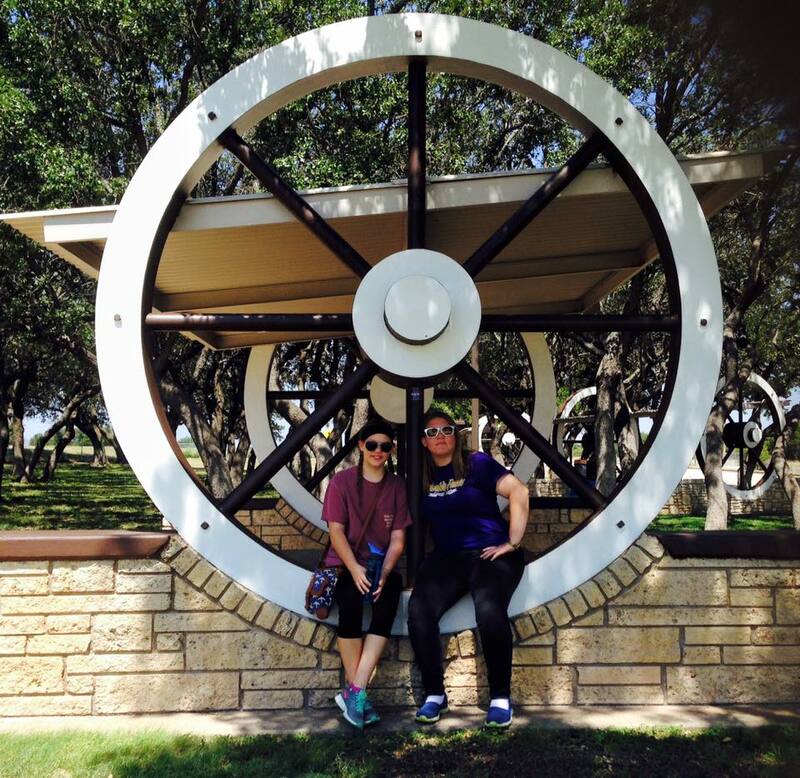 The most interesting parts of the fort are that this is where many of the black soldiers, or Buffalo Soldiers, were stationed as they fought the Apache. I talked to some archaeology students from UC Berkley who were digging around the ruins of an old barracks house. We also toured the hospital, and saw all the different bone saws they used to amputate people’s limbs. The doctor was not a source of comfort in the 1870s. 3. 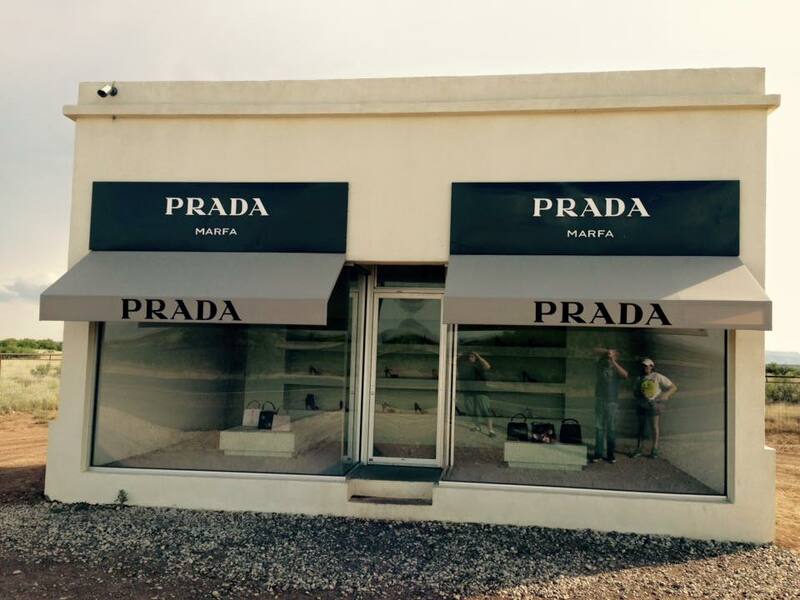 We drove to Valentine, Texas and saw the Prada store in the middle of nowhere. It is actually an art exhibit, but, boy is it strange. 4. That same evening, after eating a burrito in a questionable establishment, we saw the world famous Marfa Lights. And yes, we did see them. It was truly fascinating. The Marfa Lights are so prevalent the town of Marfa has built a viewing area about nine miles out of town. Sure enough, just as the sun went down, the lights came out and danced over the desert. The mystery is that there is no apparent explanation for them. I know that some people claim it is car headlights, but there is no way what I saw was car headlights. I don’t know what it was, but it wasn’t headlights, airplanes, flashlights, or anything of that sort. They simply twinkle into existence, get bright, move around a bit in different directions, change colors, and then fade. Very interesting. 5. Oh, and we listened to the audiobook A Canticle for Leibowitz (for more on this, click here) to and from, because Mrs. Greenbean and the sprouts haven’t read it.